Just in time for holiday decorating in your dollhouse or roombox settings. This garland comes in 8 inch lengths and is made of natural preserved Princess Pine. Red silk bows are attached. 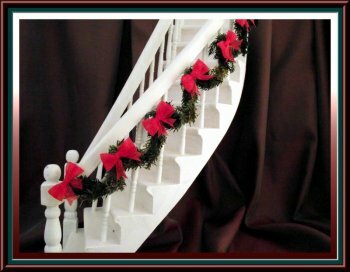 the garland is constructed on a wire so it has a little give for shaping and stretching.